Before you begin working your way to foreign language fluency, it helps to understand the culture behind the language you’re learning. After all, language exists to help a group of people express their ideas and beliefs. Russia is a vast country with a rich history and culture. As you begin your Russian language program, gaining a strong grasp on this history, the values, and the etiquette will help you rapidly achieve success. In particular, Russian housing differs from that in the Western World. Soviet-era restrictions have made it difficult for Russian hotels and villas to gain significant ratings on international boards. There is an abundance of lodging locations in Russia that would normally earn four and five stars on popular boards if they were properly promoted. Many of these locations have attractive and affordable prices. Coincidentally, not all of the lodging locations in Russia that have high prices are of stellar quality. This is the main reason why independent rentals in Russia have gained such a high reputation among traveling groups. Many small and independent property owners have begun listing their properties as travel lodge destinations, and have posted attractive rental rates. It is highly advantageous for travelers to research these locations, via town registries and social media, before booking travel arrangements. Many large travel companies in Russia have switched to listing private lodging rentals instead of traditional hotels because they offer amenities that go above and beyond rating systems. The best part is that these locations can be booked for extremely attractive prices. Many of them are also located near the most popular visitor destinations. Approaching the large Russian cities, you’ll move your way through the “спальныерайоны.” These are the dormitory type apartment complexes that reach approximately nine and twelve stories upward. Once state owned and with a shared municipally controlled heating system, the dormitories are now privatized. Unfortunately, very few families are able to afford the apartments since Moscow’s real estate prices are among the highest in the world. Instead of sharing information about the dwelling such as the number of bedrooms, interested occupants would much rather hear about the number of rooms. Two to four rooms seem to be the typical norm for most of the apartments in the area. 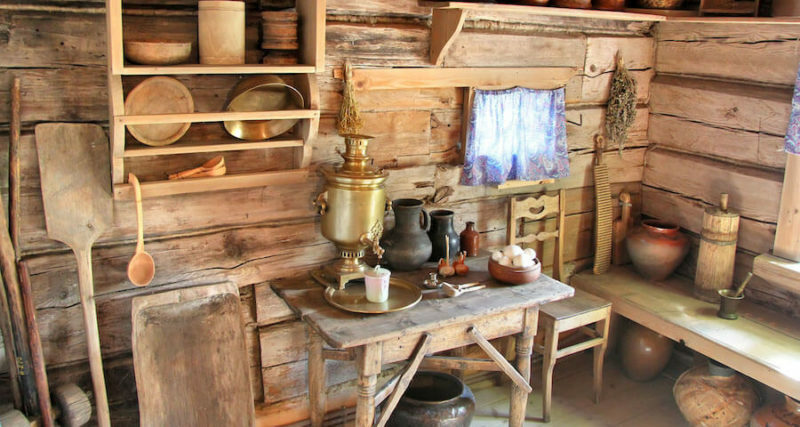 But many Russians are fortunate because they can escape from the smaller confines of their apartment to “дачи.” If you’re unfamiliar with the term, “дача” is a country house and integral way of life for many residents of Russia. Although some may travel back and forth to work from “дача,” many have a city apartment and solely use the country house as a place to reside with the family during the summer months or on weekends.